Mpala’s fourth chapter of the annual Laikipia Rabies Vaccination Campaign(LRVC) is set to launch on the 18th of October. 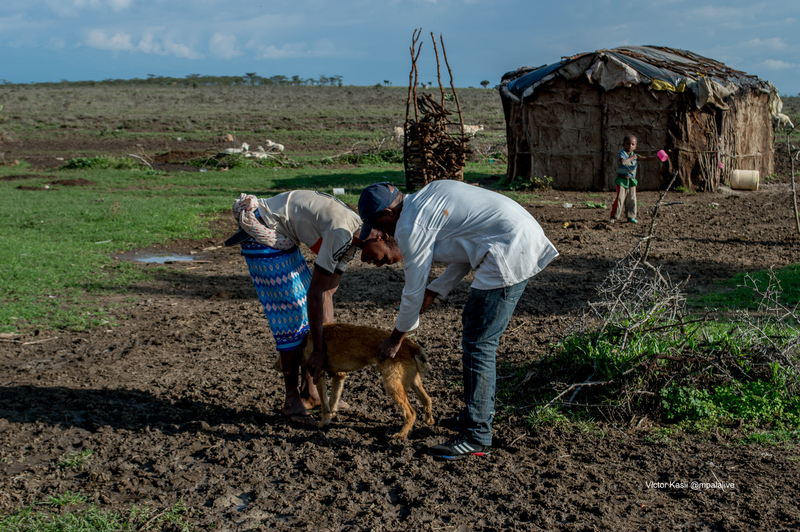 In a region where pastoralists, farmers and local communities interact with wildlife daily, rabies poses serious health risks. Every warm-blooded animal is susceptible to rabies, and it is almost always fatal after infection. Rabies is caused by a virus that affects the central nervous system, causing inflammation in the brain. Domestic dogs, cats, and wild animals, such as wild dogs, hyenas, and bats, can transfer the virus to humans via bites and scratches. Animals showing symptoms may bite, but they can also transmit the virus simply by their saliva coming into contact with an open wound, broken skin, or the mucous membrane. In March 2017, Explore.org hosted live chats with researchers Dr Adam Ferguson and Dedan Ngatia, who had the vision of a rabies-free Laikipia following their extensive work with canines and small carnivores. Based at Mpala Research Centre, the first LRVC was launched in 2015. This came at a time when 2000 Kenyans were losing their lives annually to the deadly virus. 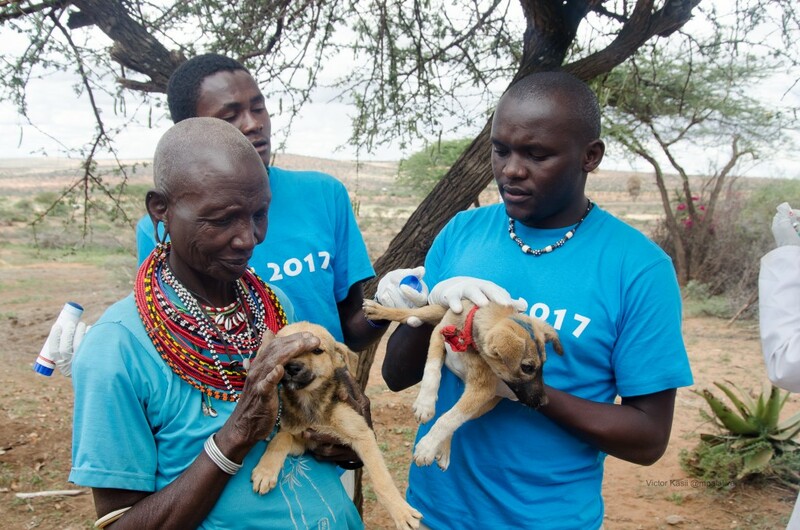 It is hoped that the number is reducing thanks to the ambitious initiative that kicked off with a localized vaccination effort among five communities in Mpala’s home county of Laikipia. Together with collaborators from The Kenya Rangelands Wild Dog and Cheetah Project, Mpala Research Centre, and International Livestock Research Institute, the team vaccinated more than 800 domestic dogs and cats against rabies. The plan was to scale the effort up in subsequent years to cover as many communities and domestic animals as possible. Launched at the Mpala Research Centre in October 2017, the third annual LRVC set out to vaccinate 10, 000 dogs and cats across Laikipia with a primary focus of vaccinating animals from pastoralist communities. 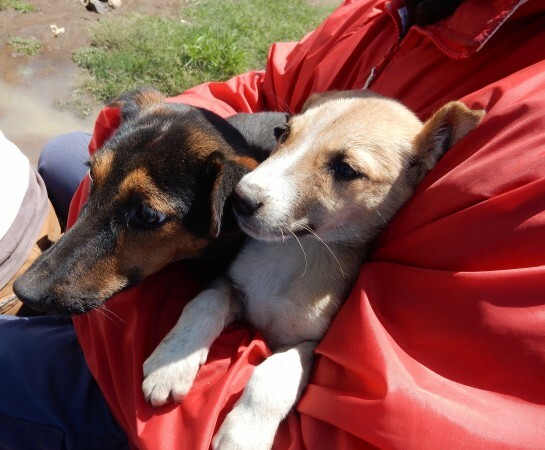 The final count was an impressive 9,300 dogs in over 30 communities. Watch the full story as told by participants here. The outstanding work done by the LRVC team means a healthier wildlife population. The animals that you see on the Explore.org live cams benefit as much as the humans and their pets in the local communities. It will take a lot of teamwork to end rabies in Laikipia and beyond. For animal lovers and conservationists, LRVC promises a rabies-free haven for endangered and threatened animals including the African wild dog. A rabies free Laikipia means that we’ll continue to enjoy and proudly share the sights and sounds of healthy animals on our live cameras. 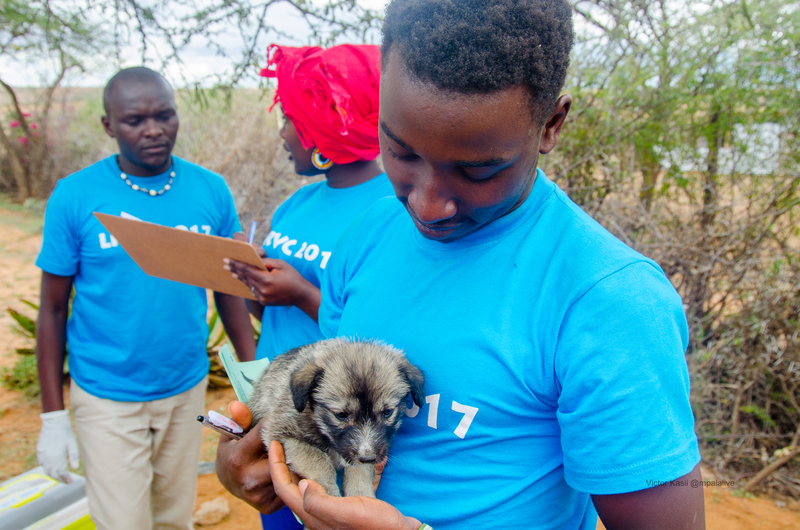 The 2018 goal for the LRVC team is to vaccinate at least 10,000 dogs, hoping to get closer to 70% coverage in Laikipia that will effectively mark the region, rabies-free! To donate to the LRVC cause, please go to give.classy.org/lrvc or in Kenya, through mobile money, MPESA (Paybill Number: 310066 and Account number: LRVC 2018).